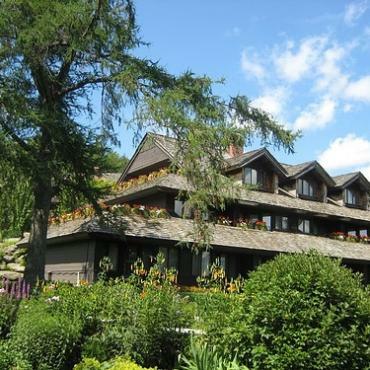 In the early 1940's, after having fled the Nazi regime in Europe, the von Trapp family settled in Stowe, Vermont on an enchanted farm with sweeping mountain vistas reminiscent of their beloved Austria. 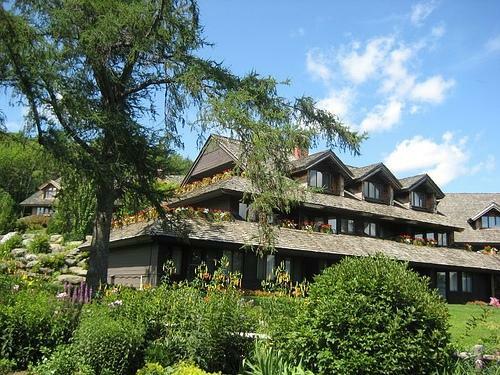 They began welcoming guests to a rustic 27-room family home in the summer of 1950. 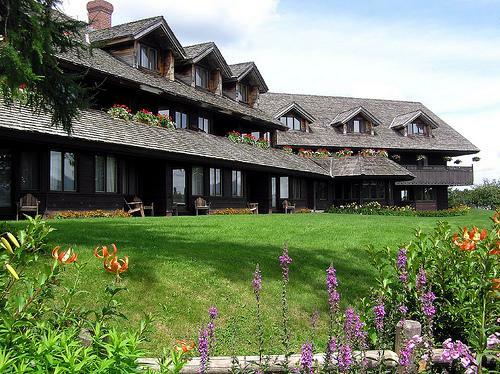 After a devastating fire in 1980, the original structure was replaced by a striking new 96-room alpine Lodge, now attended by 2,500 acres of magnificent indoor and outdoor resort amenities. 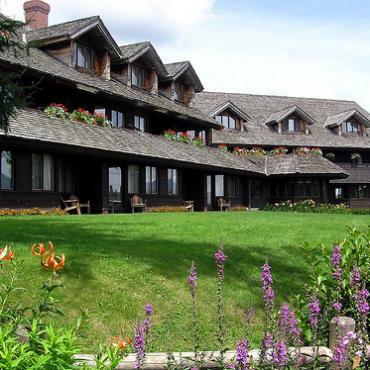 The entire property, The Trapp Family Lodge , is still owned and operated by the von Trapp family today. 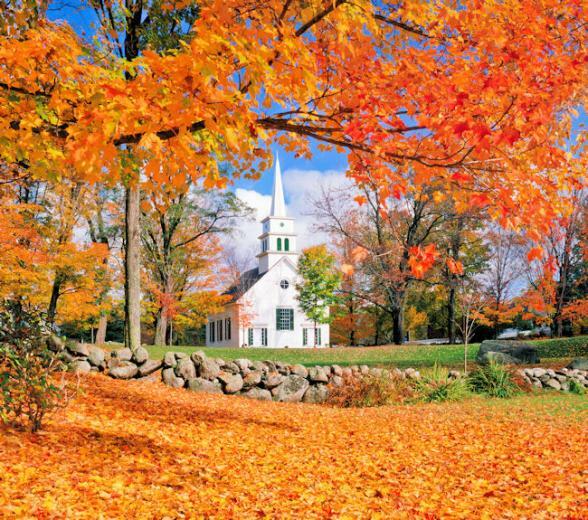 To include a stay in this charming lodge as part of your New England holiday, call the team of USA experts at Bon Voyage. 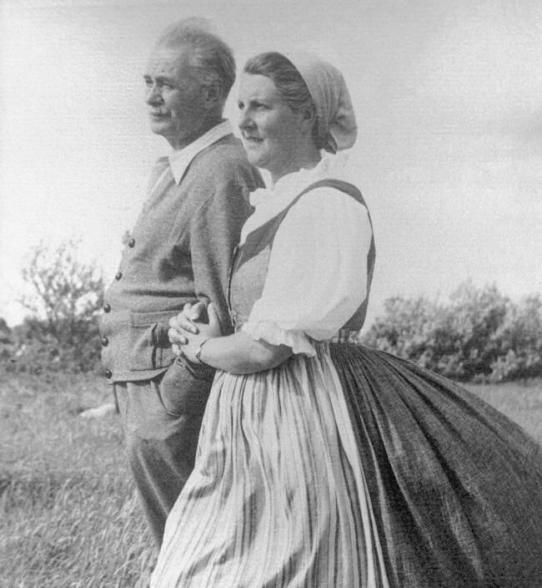 Memories of Maria von Trapp, born in 1914, third child of Agathe Whitehead von Trapp and Captain von Trapp. 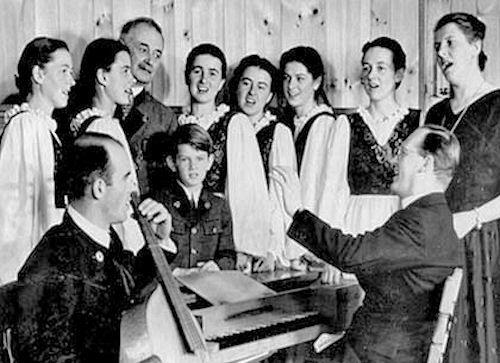 The Trapp Family Singers had one father, Georg Ritter von Trapp, and two mothers. The first was Agathe Whitehead who had seven children: Rupert, Agathe, Maria (me), Werner, Hedwig, Johanna and Martina. "My parents met and married in Fiume, now called Rijeka, but built a home in Pola, where Father was stationed as a U-boat commander. This is where my first two siblings, Rupert and Agathe, were born. Agathe Whitehead was the granddaughter of Robert Whitehead, the inventor of the torpedo. After the English government rejected his invention, the Austrian Emperor, Franz Josef, invited him to open a torpedo factory in Fiume, now Rijeka, Croatia. When World War I broke out in 1914, Pola became a war zone, so our mother, Rupert and Agathe moved to our grandmother's home in Zell Am See, in the Austrian Alps. Here four more children were born, me, Werner, Hedwig and Johanna. Growing up we were surrounded by music. Father played the violin, accordion and mandolin. Mother played piano and violin. I have fond memories of our grandmother playing the piano for us after meals. Three years after the war, in 1921, we moved to Klosterneuburg, near Vienna, where our sister Martina was born, the youngest of the first seven children. In 1922, our mother died of scarlet fever contracted from the children. After our mother's death we moved to a place called Aigen, near Salzburg. Meanwhile, we were old enough to learn musical instruments. Sometimes our house must have sounded like a musical conservatory. You could hear us practice piano, violin, guitar, cello, clarinet, accordion, and later, recorders. We would gather in the evenings to play Viennese folksongs on our instruments with Father leading on the violin. Besides encouraging us in music, Father taught us woodworking, so many of our Christmas gifts were handmade in the family workshop. As a result of scarlet fever, I was too sickly to walk the three miles to school every day, and the doctor advised that I stay home. This condition brought Maria Augusta Kutschera to teach me first grade gymnasium, the equivalent of middle school. She came to us as my teacher and after three years became our second mother. 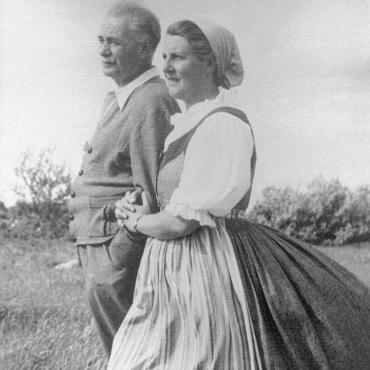 On November 26, 1927 they were married and would have three children, Rosmarie, Eleonore and Johannes. 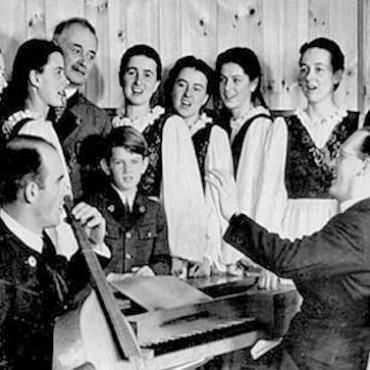 Our second mother belonged to a youth group called Neuland, which favoured classical music and Austrian folk music. Through this group, we were exposed to madrigals and masses by Mozart and Hassler, which we easily mastered. We also discovered we had all the voices necessary for four-part music: Agathe and Johanna were highest with First Soprano voices; Martina and I were Second Sopranos; Hedwig was Alto; Werner was Tenor; and Rupert was Bass. We wanted to sing all the time but never thought about singingin public. Meanwhile, two more sisters were born, Rosmarie and Eleonore (called Lorli). they had to wait to join the choir until they were 12 years old. Three months after our arrival in America, Johannes was born. He joined the choir when he was eight years old and sang Soprano, as well as played the recorder; after his voice changed he sang bass"